orange Archives - Africa M.E. BISSAU (Reuters) – Guinea Bissau has agreed a memorandum of understanding with the World Bank, Orange and MTN for a $47 million project to link the country to a submarine telecoms cable connecting Africa with Europe, the government said on Wednesday. 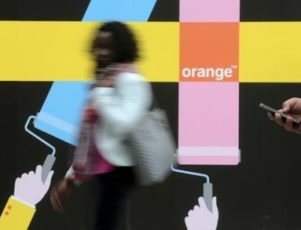 Under the agreement, French telecoms company Orange and South Africa’s MTN Group will form a consortium with the government of the West African country, the statement by the finance and transport ministries said. “The World Bank unlocks $31.596 million in the form of a loan to connect Bissau to the international fibre optic cable,” said the finance and transport ministries in a joint statement. Guinea Bissau will be hooking up to the ACE (Africa Coast Europe) cable, the statement said, one of five linking countries in West Africa to Europe. Guinea Bissau will the be last coastal country in the region to link to a submarine cable. Orange and MTN will provide about $8 million each over a five-year period, the statement said. The project is due to be completed in 18 months and officials said it would improve internet speeds and reduce communication costs in the poor, Portuguese-speaking country. Only 3.8 percent of individuals in the country of 1.8 million are internet users, according to the U.N.’s International Telecommunication Union. 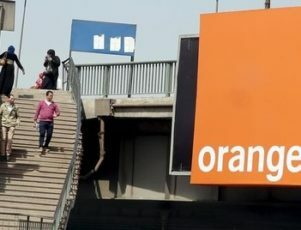 NAIROBI (Reuters) – France’s Orange SA is in the final round of negotiations with an unidentified party to sell its 70 percent stake in Orange Kenya, Kenya’s finance minister said. Orange is the latest international operator to quit Kenya, where Safaricom, part owned by Vodafone, has 67 percent of Kenya’s 36 million mobile users. Without naming the other party, Rotich said he expected the transaction to be completed “very soon”, adding that it could be completed before the end of year. Orange paid $390 million for its stake in 2007, aiming to capitalise on what were fast growth rates in the sector. Its plan was to make the firm, then known as Telkom Kenya, profitable and then to take it public in five years. Orange was not immediately available for a comment. Faith Mwangi, a research analyst at Standard Investment Bank, said Orange Kenya has struggled in recent years despite enjoying a monopoly in fixed-line telephones. “They essentially failed to innovate,” she said, adding Orange’s strategy of offering cheaper calls had helped it claw back some market share in recent years. Orange increased its users to 4.0 million in the quarter ended June from 3.7 million in the previous quarter, industry regulator Communications Authority of Kenya said. “They have been consistently gaining market share,” Mwangi said. One of Safaricom’s main advantages has been the development of its pioneering M-Pesa mobile money system, which allows users of even the most basic mobile phones to make payments. Rival offerings have yet to break Safaricom’s dominance. Kenya has two other telecom operators, India’s Bharti Airtel and Finserve, which is owned by one of the country’s biggest banks’ Equity. India’s Essar Telecoms sold its Kenyan business, Yu, last year after it failed to make it profitable.